Foundation Stallion "SLR A Twisted Dandy Special"
By Registering your Pintaloosa you will be able to participate in year end award programs, such as our open show program and our Ride and Drive Program. You will receive a beautiful registration certificate and be connected to other Pintaloosa lovers. 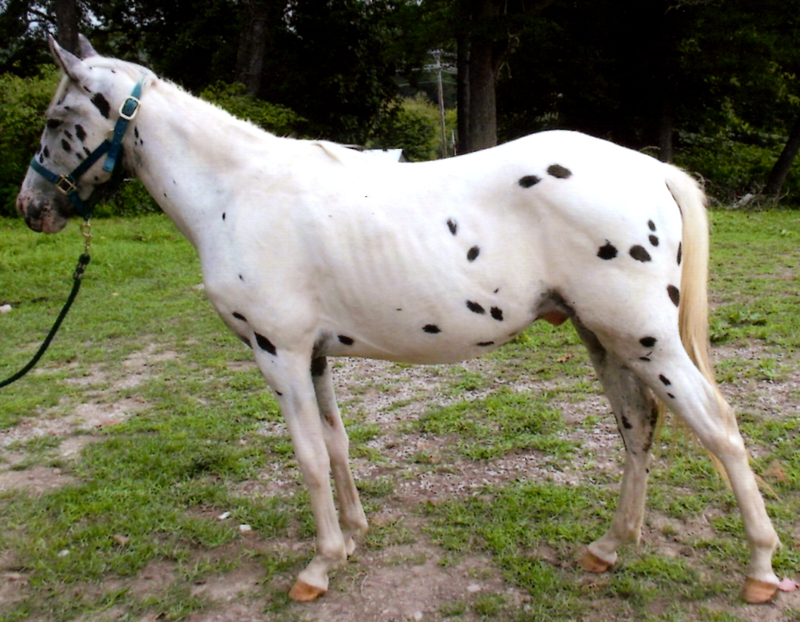 Help show the world that you love your horses spots and splotches! 2018 ANNUAL OPEN ONLINE HORSE SHOW! "Over 100 Class's Offered! Something For Everyone!" 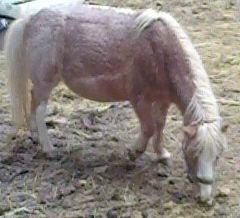 From Miniature Horses to Draft Breeds! Show is OPEN to EVERYONE! GREAT AWARDS BEING OFFERED UP TO 5TH PLACE! ISHR has discovered that there are other "spots of color" out in the horse wold besides the world of Paints, Pinto's & Appaloosa's -- that is the PINTALOOSA horse which can emit a kaleidoscope of colors and patterns. The Pintaloosa is fast becoming the newest color/pattern craze for equine owners & breeders. By breeding a pinto or paint to an appaloosa (or visa/versa) and with a big of luck, a breeder can have a beautiful tobiano with a flashy spotted blanket or a wintery pattern of a snowflake tobiano. The patterns which can be achieved is endless in the multitude of colors. 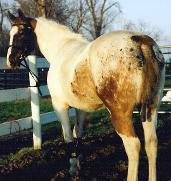 Presently the Pintaloosa horse is controversial among many diehard paint and pinto breeders and many appaloosa breeders. However, wanting to create more beautifully colored and patterned horses, more breeders are turning to the cross breed-ing by using the paint or pinto and applaoosa. 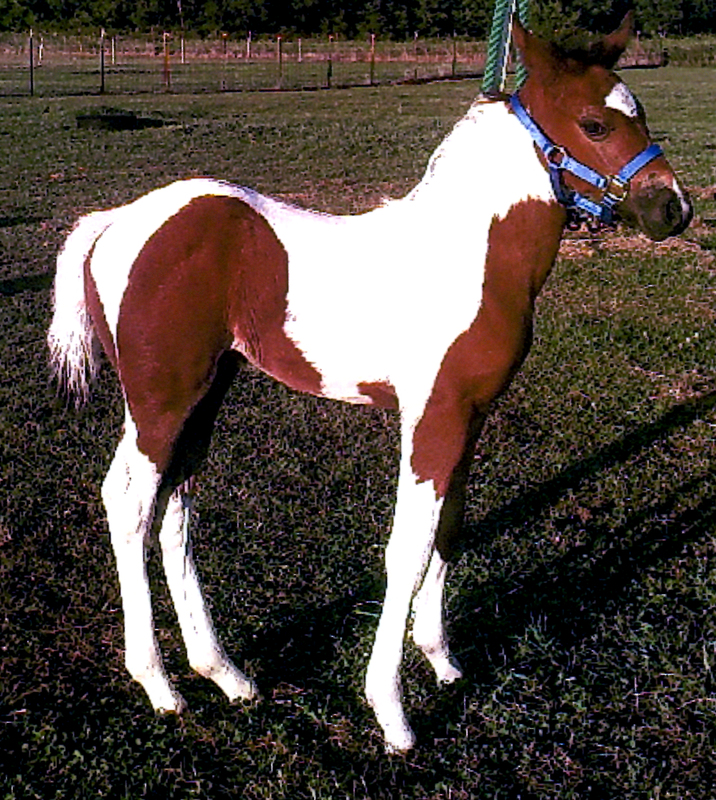 There are many arabian breeders that wanted more "charisma" added to their arabian horses, more color for added "class" so they turned to breeding for spotted color going for the pinto/paint patter or the appaloosa for greater pattern variety. On the other hand, minature horse breeders have been breeding for size so the color or patterns wer of no big issue - so many "Pintaloosa" breedings were done, but eyebrows were not raised because most breeders were not so much interested in the colat patterns as they were the small horse size and conformation. Many horse owners and breeders wanted more, they wanted to stand out in a crowd, to be seen and now being heard by show- ing off these colorfully spotted equines. An equine historian once stated: "Every American breed of horse is a mixture created by mankind. Some mixtures are just more finely blended vintages and depends on whether breeders ar willing to work from a broad biological perspective to promote a different kind of horse." The Pintaloosa horse is just another one that has sur- faced. 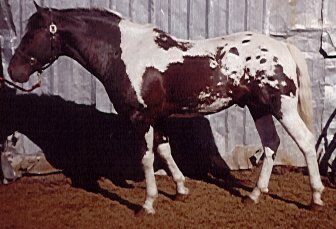 The appaloosa and paint horse associations promote the "purity of blood" rather than color or pattern of the breed, and even the pinto association is more for the "purity of blood" than color because at least one (1) parent is required to be registered through them or you can pay a hefty fee for a "hardship" case. Color is of secondary nature to certain associations. ISHR accepts all spotted equines of any breed and/or breed type. (except donkeys/mules) The Pintaloosa is a special edition to their acceptance of color. 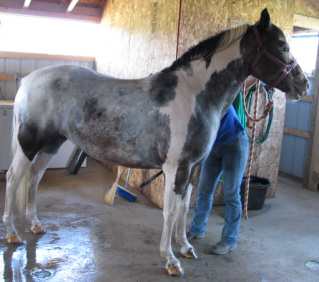 According to the registries Founder and President, Rebecca Rogers, the "Class "A" Pintaloosa" shows the characteristics of both the pinto/paint and appaloosa. The "Class "B" Pintaloosa" only exhibits one tyope of color pattern - either the pinto/paint or the appaloosa type, but not both - however, they do have BOTH bloodlines in them. Many breeders can be biased on the merits of certain colors and patterns. When an unexpected color pattern is introduced these breeders will discredit the breeding of two (2) different type patterns of horses. Why? Because they have lost the ability to be "open minded" and want to discredit or disbelieve that there are breeders who want to explore for more color and pattern type variations. Now many horse breeds are sporting spots such as the Morgan, Tennessee Walker, Arabians, and the list just keeps growing every few years. Simply because "spots" give more beauty to any horse. Before ISHR, there were no places for the Pintaloosa to get recognition. 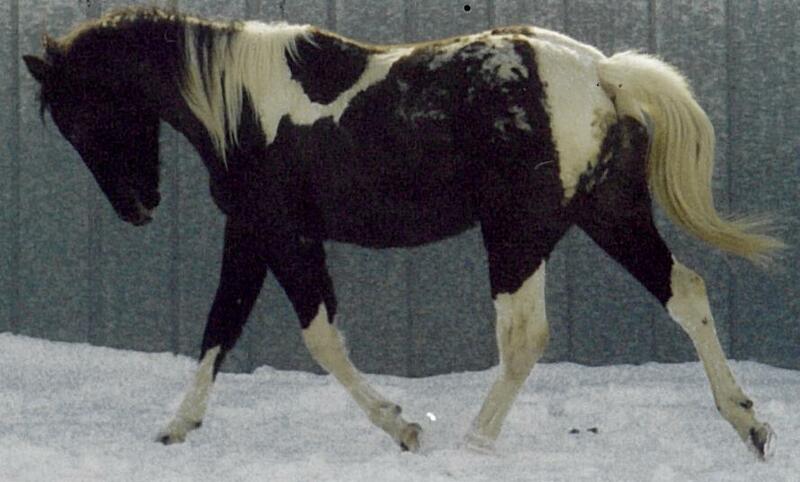 the APHA (Paint Horse Association) would not accept them or would the Appaloosa Associations. Now ISHR has Pintaloosa equines registered from all over the world. The Pintaloosa breeder and owner have a goal - to create varia- tions of color patterns - although this is not their only goal. They also want to take into consideration and achieve the inheritance of conformation and temperament. Most all breeders use logic, objectivity and understanding in the success rate for the color and pattern type. 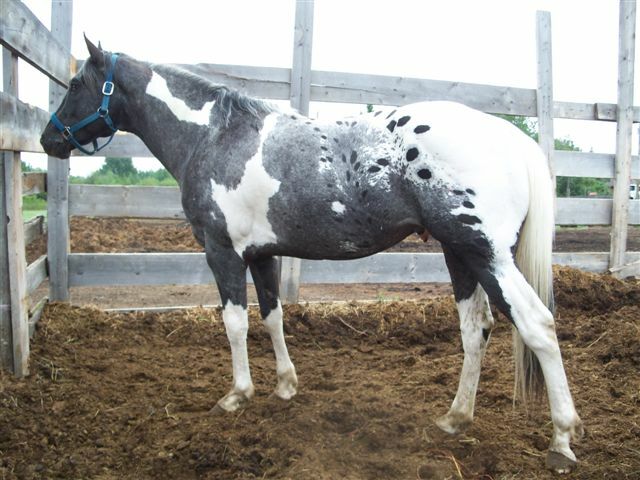 ISHR accepts these patterns for the pinto type: tobiano, overo, tovero, sabino, splashed white, and any combination derived from any of these patterns. Acceptable applaoosa patterns are; few spot leopard, spotted leopard, snowflake, blanket (solid and spotted), mottled, snowcap, flecked, varnish, frost or any com- bination thereof. So with a Pintaloosa there are hundreds of pattern variations one can get. It isn't an exact science as you will not really know what type of pattern variation you would achieve, but changes are it will be very unique, colorful, and have a lot of eye appeal. If you are looking for that ONE OF A KIND in a horse, if you want lots of color, charisma, charm and beauty - the Pintaloosa may be just what you are looking for. The "Pintaloosa" Registry is a branch of the International Spotted Horse Registry. Have any questions? Please always feel free to contact our office: pintaloosa53@aol.com or ishrppa@aol.com and 866-201-3098 toll free or 417-475-MARE.